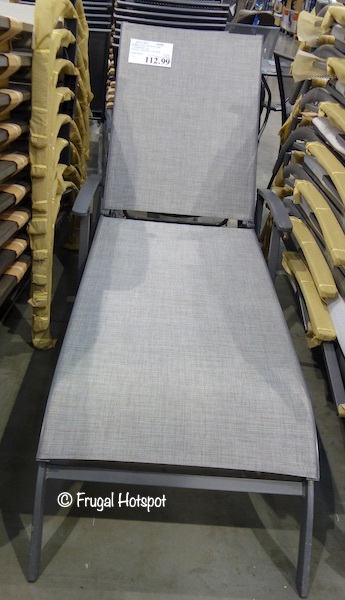 Great for lounging poolside or on the patio or deck. 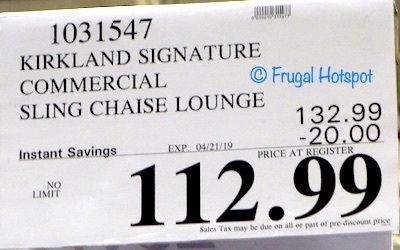 Select Costco locations have the Kirkland Signature Commercial Sling Chaise Lounge on sale for $112.99 (after instant savings), now through April 21, 2019. That is $20 off Costco’s regular price of $132.99. While supplies last. Item #1031547.